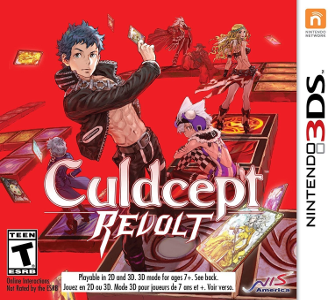 Culdcept Revolt is a turn-based strategy video game developed by OmiyaSoft and published by NIS America in North America and Europe, and Nintendo in Japan. It is the sequel of Culdcept, though the two games have different plotlines. The game runs rather well for the most part, and it is possible to play normally. However, accessing the internal help system will freeze the game (the music continues to play) and the only way out of it is closing Citra and opening it again.